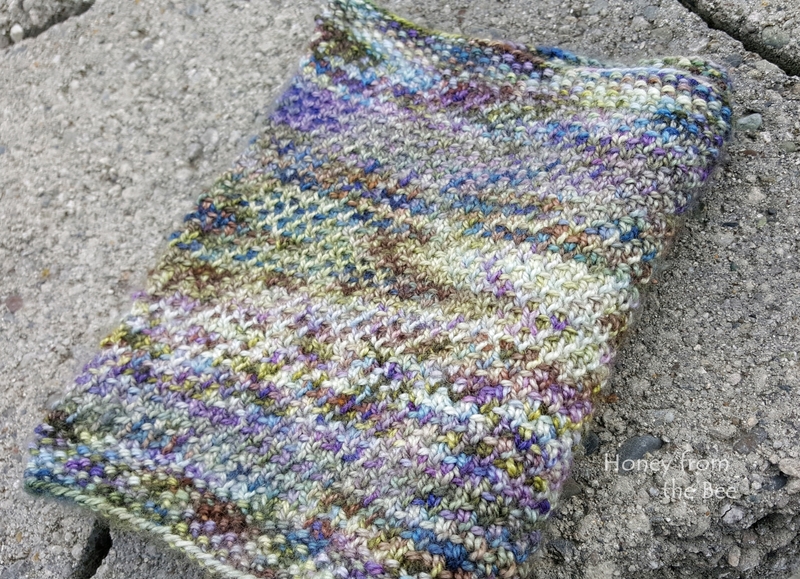 The purples and greens in this luxury handknit cowl remind me of Monet's garden. 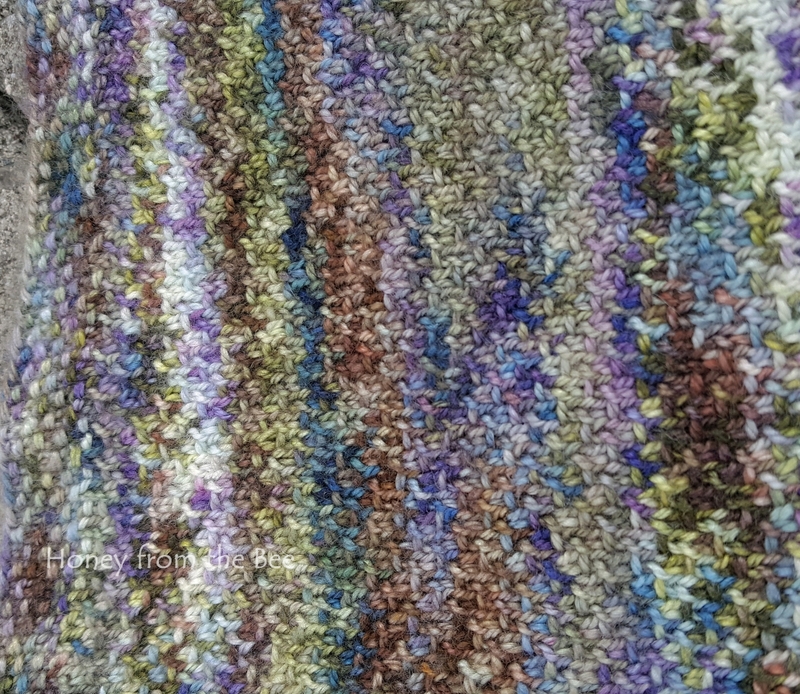 Colors include: lupine (blue), wisteria (purple), and lots of different shades of green. This would make a very special gift for someone. It is lightweight, but will add some warmth when needed. 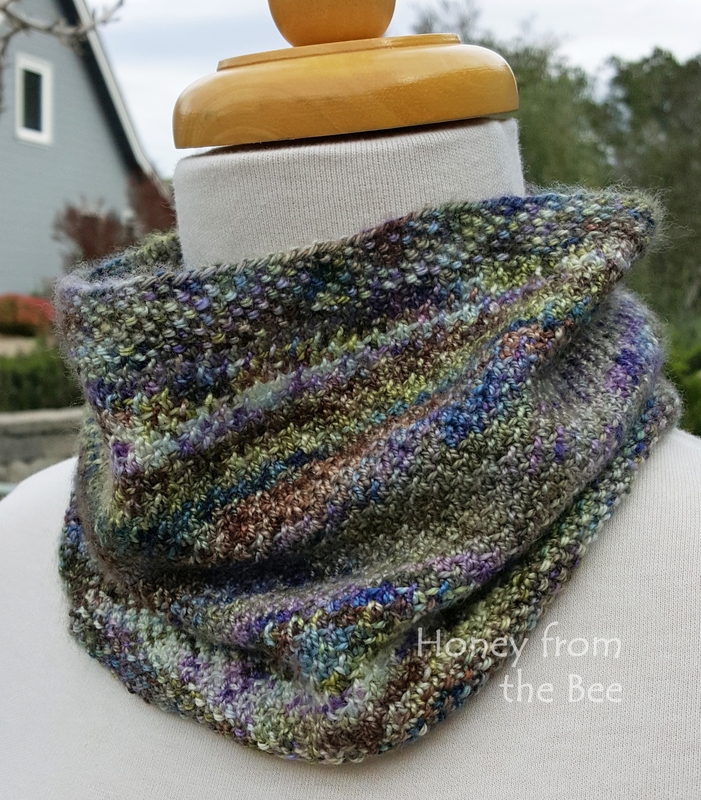 Drapey and oh so soft! Material: I used a cashmere (65%) and silk (35%) blend that was hand-dyed in the USA by a woman owned and run business.